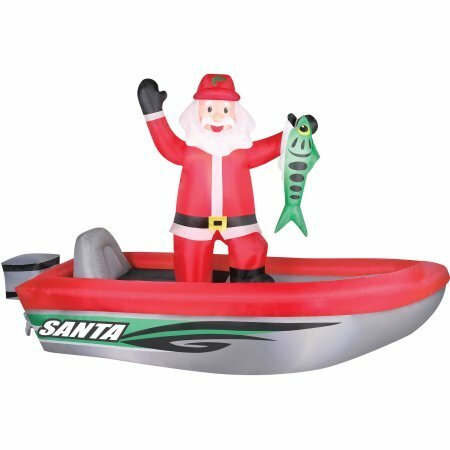 This inflatable Santa in a 10-foot fishing boat by Occasions is perfect for those fishermen in your family. Santa is standing in the boat showing off his latest catch. He lights up at night and sets up in seconds.